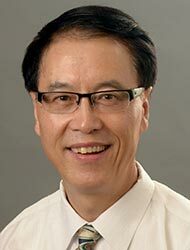 Dr. Lu serves as a faculty member at both Bastyr Center for Natural Health and Bastyr University. Dr. Lu has been in practice since 1995 and worked as a pediatric doctor in China for more than 10 years. He also worked in research in the pulmonary division at the University of Washington Medical Center for 5 years. Dr. Lu received an MD from Qinghaj Medical College in China and a master's degree in acupuncture from Bastyr University.